Rudolf The Red-Nosed Reindeer got an upgrade for 21st century when The Makery Team decided to create a Holiday Card using RGB (red,green,blue) LEDs. Folding a Jumping Frog is so much fun! Try it out! More of that later, for now enjoy my first test of 3D me talking. Our plan is to print the models, and make a stop motion animation with them. It is going to be fun! If softwares are virtual machines, maybe there is a way to see and interact with an object-oriented programming language in a tangible way, using physical objects. 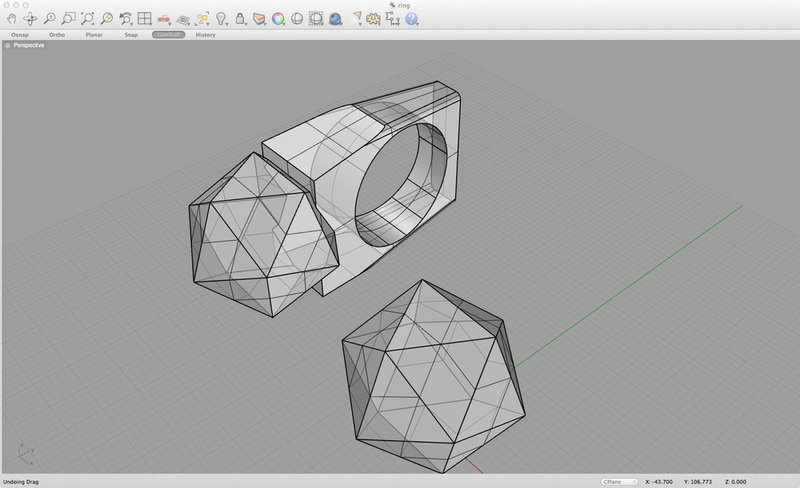 3D printed jewelry, specifically designed to test MAkerbot Replicator 1.